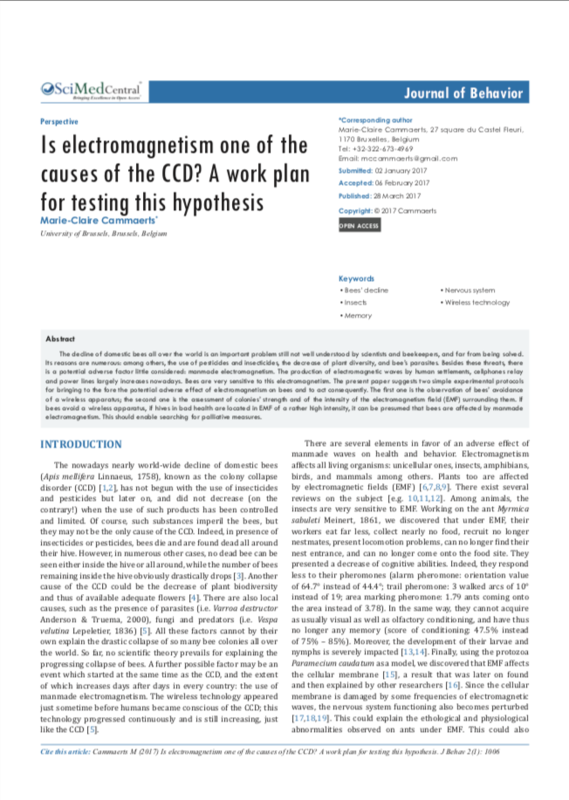 Is electromagnetism one of the causes of CCD? The production of electromagnetic waves by human settlements, cellphones relay and power lines largely increases nowadays. Bees are very sensitive to this electromagnetism. The present paper suggests two simple experimental protocolsfor bringing to the fore the potential adverse effect of electromagnetism on bees and to act consequently.